Londonist Out Loud is presented and produced by N Quentin Woolf. 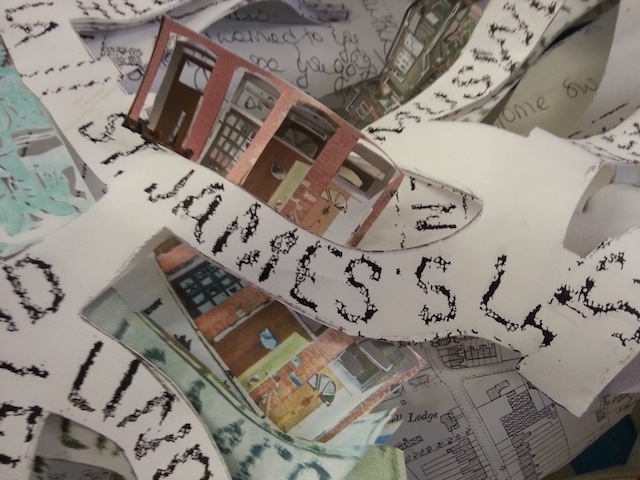 This week’s podcast comes to you from Muswell Hill Library with artist Anya Beaumont, creator of Mapping Muswell - An N10 Paper Project. Anya spent months crafting a collage of Muswell Hill by piecing together dozens of sheets of paper, donated from various sectors of the local community, then intricately cut and assembled them into a projection map of the area. N Quentin Woolf meets with her to discuss the art work, the inspiration behind it and how the local community engaged with the project. The work is currently on display in Muswell Hill Library and can be viewed during normal library opening hours.